Sikkim’s Tshering Ongmu Lepcha scored 60 runs in a Senior Women’s One Day League 2018-19 match against Arunachal Pradesh on Wednesday. She was the highest run scorer for Sikkim followed by Tabita Subba who was 34 not out, according to a press release from Sikkim Cricket Association. Sikkim is playing in Plate Division which also features Arunachal Pradesh, Bihar, Manipur, Meghalaya, Mizoram, Nagaland, Puducherry and Uttarakhand. The matches are being held in Puducherry, Bhubaneshwar and Cuttack. In the first match against Manipur, Archana Das (member of T20 World Cup Squad 2012) scored 87 not out while Priyanka Acharya and Purni Maya Gurung took three wickets and one wicket respectively. The Sikkim senior women’s cricket team is participating in the Indian Domestic League after six years, said the SCA. The team is accompanied by 12 local players of Sikkim and three guest players, who have been playing professional cricket from their respective States and also have represented Indian team in past. The recruitment is done as per the norms of the Board of Control for Cricket in India (BCCI), in which 3 guest players are allowed. Purnima Rau, former India women’s cricket team captain and also the coach of Indian women’s team, has been appointed as the coach of team Sikkim by the BCCI, said the SCA. Tshering Ongmu Lepcha hails from Gayzing, west district and is playing for Sikkim Women’s cricket team since 2008 under different age categories and is the best wicket-keeper batsmen in Sikkim. She has always been a consistent run scorer for Sikkim. Her highest run in 2 days match is 98, scored against Odisha in 2010 playing in the senior category and 72 runs in One Day. 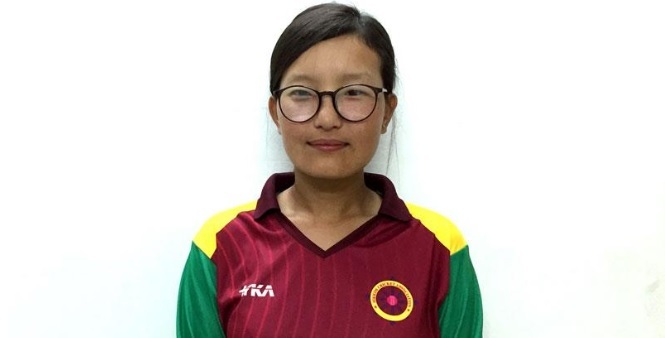 Back in January 2013, when Sikkim reached finals of Senior Women’s Northeast One Day Tournament against Chhattisgarh, Tshering Ongmu scored 60 runs and was also the highest run-maker of the tournament, stated the SCA.